This integration is currently in development. Head over to Integrations and choose the Sync Intercom users option. 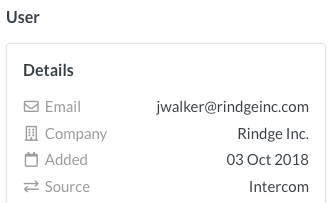 Authenticate with your Intercom credentials, then click Enable User Sync. After you enable the sync, Simplesat will begin importing users. You can leave the page logout of your account; Simplesat will continue to import in the background. Note: Imports may take several hours at peak times and depending on the number of users in your system. To check if a user in your Simplesat account, go to the Customers section.